“The hottest love has the coldest end.” -Socrates. Breakups are never easy. In fact, knowing you might never hold the person you love again is one of the hardest things a person can do. After a breakup, you might feel helpless and scared he’s gone forever. You may have realized you made a big mistake or wish you’d done things differently and could rewind the clock to have another chance with him. As for him? His post-breakup behavior might be confusing. For example, on the one hand, he texts and calls you telling you how much he misses you… and on the other hand, he ignores you and purposefully posts pictures of himself with another woman on social media knowing you will see it. Or he blocks you on Facebook and then sends you an emotional text while he’s drunk one night. 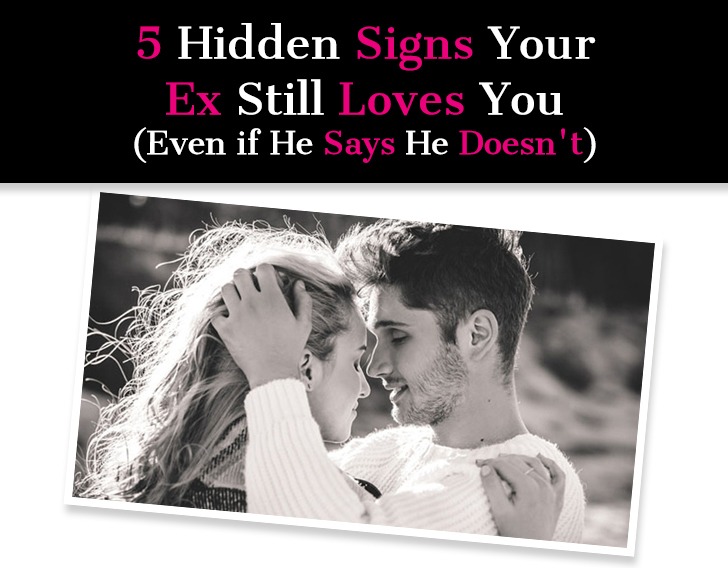 I am going to give you the “hidden” signs that your ex does still have feelings for you. In addition to giving you the signs, I’m going to give you tips underneath each sign so that you can have the best chance of getting him back (if this is what you want). Hot and cold means he acts like he’s still in love with you one day and then acts as if you don’t exist the next. For example, he might call and text all the time for a week and then ignore your texts the next week. His behavior is incredibly confusing because it is rooted in his own confusion. He doesn’t quite know how he feels about you. There is a part of him that misses you, that wishes you were there, that can’t fully let go. But then the rational part of him recognizes that there were issues in the relationship…that things weren’t always all that great…whatever the reason for the breakup is still a reason. It is essentially a battle between his head and his heart. The feelings are still there, though. But just because we want something doesn’t always mean it’s what’s best for us. So that’s essentially why he goes hot and cold. He’s trying to reconcile the fact that he wants you with the fact that he knows the relationship wasn’t working. I know it’s easier said than done, but don’t let his behavior upset you. In other words, do not react or call him out for being confusing. This will only cause conflicts and push him away even further. Tip: Don’t engage. If he makes plans with you, but then suddenly breaks them off, play it cool. If he ignores your texts – stop sending them. Stay strong after a breakup and focus on yourself. Is there a chance you can get back together? Of course. But that can only happen if something changes, and change takes time and work. Is he putting up pictures of himself with hot girls on Facebook and Instagram? Telling mutual friends about all the dates he’s been going on (knowing it will get back to you)? Or shamelessly flirting with other women in front of you, or telling you about other women? Then he might be trying to make you jealous. Why would he do this? Simple, he still has feelings for you and still wants you to want him. Again, this doesn’t necessarily mean he wants to get back together. Breakups usually happen for a reason, or many reasons, and those reasons don’t disappear just because the two parties miss each other. But him flaunting things in front of you is a sign that he can’t let go, and that he wants to make sure your feelings for him are still activated as well. What better way to prevent someone from moving on than pouring salt in a wound? It’s not exactly the most mature thing to do, but it’s not coming from a rational place, it’s coming from an emotionally fraught place. Just because you are jealous doesn’t automatically mean he is doing it on purpose. Feelings aren’t facts and just because you feel a certain way doesn’t mean that is the reality. I am not trying to sound harsh. In fact, I’m just trying to save you lots of pain and confusion. Do not react and let him get to you. Not reacting includes not calling him out. Don’t call him out or accuse him of trying to make you jealous. This will backfire. Instead, Think about the true meaning behind his actions. Make an effort to be happy in your own life. If you are OK and happy in your own life, you automatically become more attractive, not just him but men in general. What can you do in order to make yourself happy? Go out with friends, take up hobby, workout, eat well, etc. Success is the best form of revenge—take this motto to heart. The “No Contact Rule” is a post-breakup must for one reason: it works. No good can ever come from staying in touch with an ex after a breakup. Maybe down the line, you can try to be friends, but that’s pretty much impossible to achieve right off the bat. It’s very important to give yourself time and space to emotionally detox after a relationship ends. The post-breakup period can be an extremely confusing time. Your emotions are all over the place, you’re mind is constantly spinning, and you have all this empty space in your life that was once filled with this other person. No contact means no contact. No calls, texts, tweets, Facebook messages, nothing for a certain amount of time. It’s intended to help you gain clarity and move on. 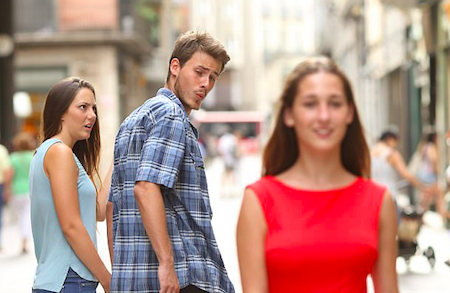 In the process, you might realize your ex was all sorts of wrong for you, or maybe both of you will realize that the relationship is worth another shot. If you ask him to back off and let you be and he just can’t, then he most likely still has feelings for you. Or he’s just very disrespectful in which case you should assess why you want to be with someone who can’t respect your needs. A guy who is over you will be able to let you be and it won’t be difficult. A guy who still has feelings will be overcome with fears and emotions. He will fear that you’ll meet someone else during this phase of no contact, or that you’ll move on. And not having you in his life will make him realize how much he misses you. Don’t engage. Don’t answer his calls and texts if you don’t feel like it. If you do feel like it, reply. The point is to not overanalyze because overanalyzing creates an emotional trap. The common emotional trap so many people fall into is getting a sense of satisfaction and security because he’s contacting you and then getting let down and disappointed when he doesn’t. It’s impossible to move on when caught up in this cycle. Don’t be let down or disappointed if he stops contacting you; right now you are influenced by emotions. Emotions are blinding. It’s hard to see the truth when you’re emotionally reactive. Take the time and space to do what you need for yourself in order to heal and get to a good, strong, happy place. You have probably heard the common saying, “alcohol goes in and the truth comes out,” or “In vino veritas” (in wine there is truth). 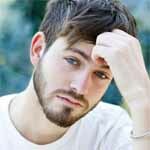 So you might assume your ex confessing his love for you after having a few too many cocktails means he’s being honest, even if his sober self says something totally different. Here’s the thing about alcohol. As anyone who has ever had a few too many can attest, alcohol lowers inhibitions and heightens our emotions. 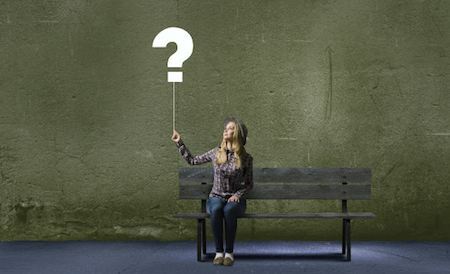 So in a cloud of drunken stupor, your ex may start reminiscing about your time together, this will make him feel nostalgic and sad and these feelings will be multiplied due to the booze causing him to feel a desperate urge to talk to you right now whereas he would have used a bit more restraint and discretion if sober. The point is, the feelings are real and they are there. The common misconceptions people make is in thinking that someone is at their most honest when drunk. The real truth is that alcohol will make someone at their most emotional. If he is regularly reaching out when drunk, then chances are he does still have feelings for you and regrets the breakup. That doesn’t necessarily mean he wants to get back together, but there is something still there that he can’t quite shake and he’s using alcohol as an excuse to air it out. MORE: Do Guys Mean What They Say When Drunk? 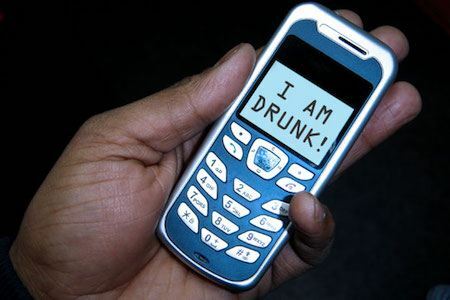 Be careful if he drunk dials you. Don’t get your hopes up because of a drunken confession. And whatever you do, do not discuss your feelings for him in the conversation or bring up anything negative. It doesn’t matter if he’s pouring his heart and soul out into the conversation. It doesn’t mean you should reciprocate. You might feel foolish the next day when he “doesn’t remember” saying whatever he said, but everything you said is on the record. A guy who doesn’t have feelings for you anymore doesn’t have strong emotional reactions when it comes to you and what you’ve been doing. He’s just OK with whatever. If he has strong emotional reactions to you, it’s because he still has feelings for you. On the surface, how he’s acting might indicate he’s over you but the truth is… there’s something deeper going on. In other words, there’s a large possibility that he’s hurting and messed up about the breakup and he’s showing this hurt by lashing out. 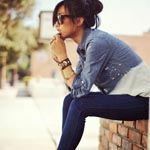 People who are hurt lash out in a variety of ways – but the root of it stems from the unresolved feelings he has about you. If he’s lashing out – give him space. Give him room to breathe. Nothing positive will happen if you get down and dirty and start battling him. Don’t feed into his negativity. Instead, be unreactive and don’t let yourself engage. Don’t engage. Don’t respond. Don’t take responsibility for his anger and try to fix it—just let him figure it out by himself. A common mistake is thinking you can control the actions, reactions, and behavior of another person. This is what creates toxic relationships. The reality is that you can’t control how he feels no matter what. Even if you shame him, yell at him, ignore him, follow every rule out there for “how to get your ex back” and how to “make your ex have feelings for you” the truth is you cannot control what another person feels. Even if you could control it why would you want to? If you read through this list and realized your ex still has feelings for you, great! Just don’t jump back into anything too quickly. The relationship didn’t work out for a reason, and unless you can solve whatever the problem was, it won’t work the second or third or fourth time around. If this article made you realize that your ex no longer has feelings for you… that’s fine too. It just means it wasn’t the right match and you’re free to move on. Don’t take it personally. It doesn’t mean you’re flawed or unworthy or not good enough. It just means this wan’t the right match and that’s no big deal. Seven years ago, I found out accidently that he was texting this same old girlfriend, and I told him that if it happened again, it was a deal breaker. At that time, our children were still living at home so I decided to remain in the marriage. Now we are empty nesters..
they helped me realize that my husband been having an affair with several other ladies through his phone text and fb..
i cannot thank them enough than to introduce their service to people out there in such dysfunctional relationship..
i now know where i stand in the relationship and we’ve resolved things thanks to almonds. My boyfriend exactly does the same things.. Like one side so much love .another side he hurts me alot.. even drunk n came to the gate of my house at midnight n said it’s been years n questioning me for not caring.. another day he said donot keep any hope.. its been 10 days last time we fight n it ended up on a very worse manner … I m much confused what to do… I shared the details to my friends they are suggesting me to leave him n to move on… But some how I’m feeling I need to wait for him… please help me coz Its taking me towards depression..